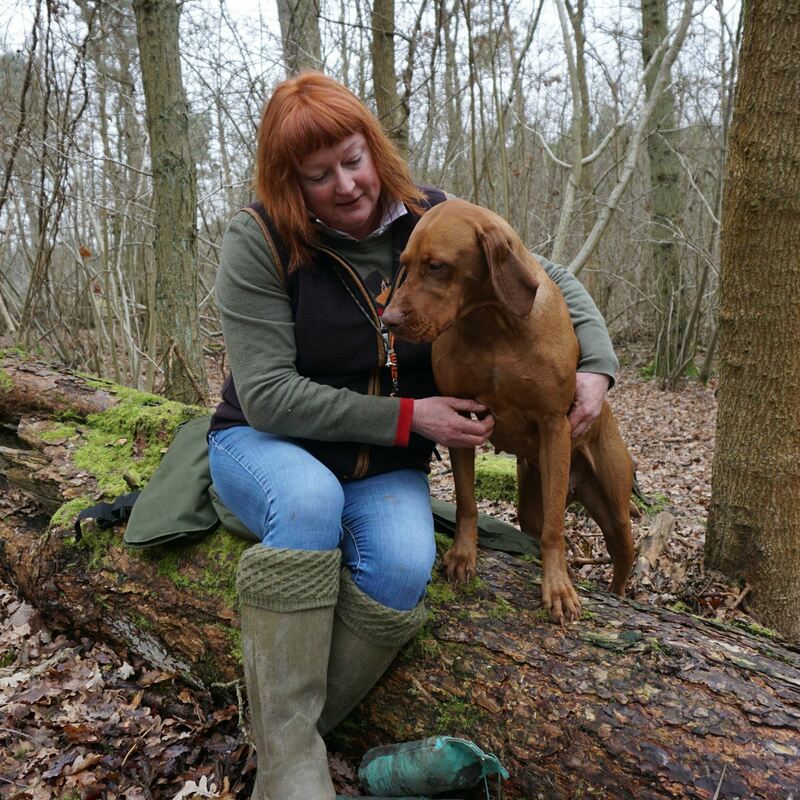 Helen Phillips comes from a working dog background where, for many years, people have been discouraged from taking their gundogs for walks where they can free run. It was believed this would be detrimental to their working abilities and contaminate important behaviors, with the dogs self-reinforcing in scenting, hunting and chasing. This notion, however, fails to address the importance of expressing natural behavior and how fundamental scenting is for a dog’s long-term health and mental state. Many working dogs today live double lives. They have to be a part of the family and engage in family activities, but also compete and/or work in field sports. Many breeders are allowing their gundog puppies to go into homes where they know they will never go hunting or shooting, yet still advocate the idea that the dogs should not free run, and should not engage in play. This makes it very difficult for new and often novice owners to build a strong lifelong relationship with their dog, understand his needs, and be able to safely enjoy the outside together. It also fails to address that scenting, hunting and chasing behaviors and needs are innate, and will always be a part of the dog’s make-up. Dogs are highly intelligent and extremely good at learning patterns, contexts and situations by taking their behavior cues from overall external triggers. Because of this they can learn to go for a walk and distinguish it from going for a hunt, playing with a toy, and retrieving a pheasant. This presentation will discuss the nature of going for a walk with your dog, how to develop the skills needed to achieve this, and great games that can be enjoyed together that allow the expression of natural behavior whilst remaining connected. These benefits can, of course, be applied to all dogs. How to develop strategies, cues and techniques to help manage the environment and build a connection when out and about. to engage in hunting and or scenting games with your dog and work as a team. The importance of play when training using positive reinforcement. Encourage choice-based discussion making in stimulating environments. -How to apply different reinforcement strategies when outside and build incentives. Helen Phillips is the owner of the ‘Clicker Gundog’ Training Centre. She is a qualified teacher and has also been a business partner with Learning About Dogs Ltd for almost ten years. During the last ten years she has also taught a Canine Training and Behaviour Course at Warwickshire College. She also manages a small shoot and runs a team of beaters on another small syndicate shoot in Worcestershire. Helen has obtained the Learning About Dogs Clicker Trainers Competency Assessment Programme levels 1, 2 and 3 with Distinction and is an active assessor for the scheme. She also teaches a variety of Clicker Training and Gundog courses around the world as well as in the UK. Helen is also the Author of the popular ‘Clicker Gundog’ Training Book. . Through Clicker Gundog she has developed a range of workshops and seminars to help teach these skills to both the handler and the dog. The seminars and workshops are held at a training facility that has been developed especially for the purpose and incorporates a working shoot so that both dogs and handlers new to the sport can experience what a shoot is all about, and those with experience can then practice their skill in the working environment.